At Rapid Response Maintenance we often experience trends in our work that perfectly correlate with the changing of the seasons. Typically, November brings the end of the seemingly regular annual ‘Indian Summer’, and the introduction of the typical British winter… normally cold and rather wet. Like clockwork, we receive numerous requests to either fix or at the very least provide important maintenance for heating systems that have failed, or certainly need our heating and plumbing team’s expert intervention in order to work efficiently. 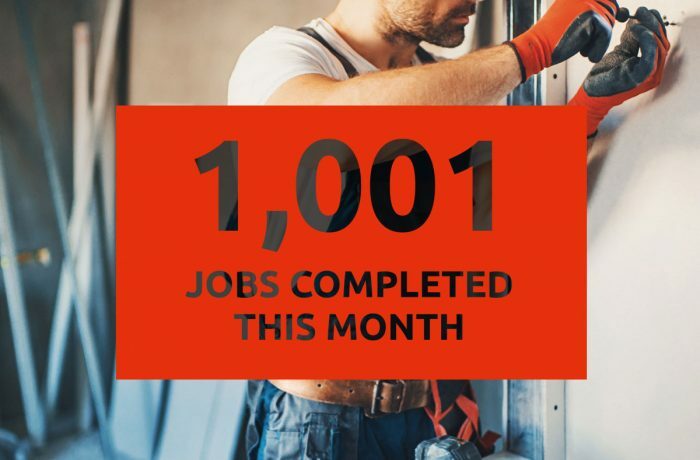 Last month was certainly no exception to the rule, but certainly an exceptional month, which saw our production system record the magical 1000 mark with projects completed for the month of November. Make a comparison to last year, and this is 27.8% up with 783 projects completed in 2017. The general trend for the business this year has been a succession of record months with November demonstrating exactly why our average first time fix rate of 88% is starting to become common knowledge in the field of property management. With such a strong ‘first time fix rate’ in the maintenance world, it can save many hours of nonsensical administration time for us, and the client. A tenant who waits for repairs is invariably a tenant who will be making increased levels of contact with property managers, and as many property managers will state, this can be an inefficient use of their time and skills. As the cold winter months start to bite, the experts are predicting a long and cold winter. With this in mind, we are certainly anticipating a high level of heating and plumbing repairs to continue over Christmas and into the new year. This will come with future project records being broken at Rapid Response. If we see the magical 1000 projects per month becoming a regular occurrence at Rapid Response, it will demonstrate a 35% increase in projects completed next year. With a growing team, we are extremely confident in our abilities to hit, maintain and build upon this level of growth.